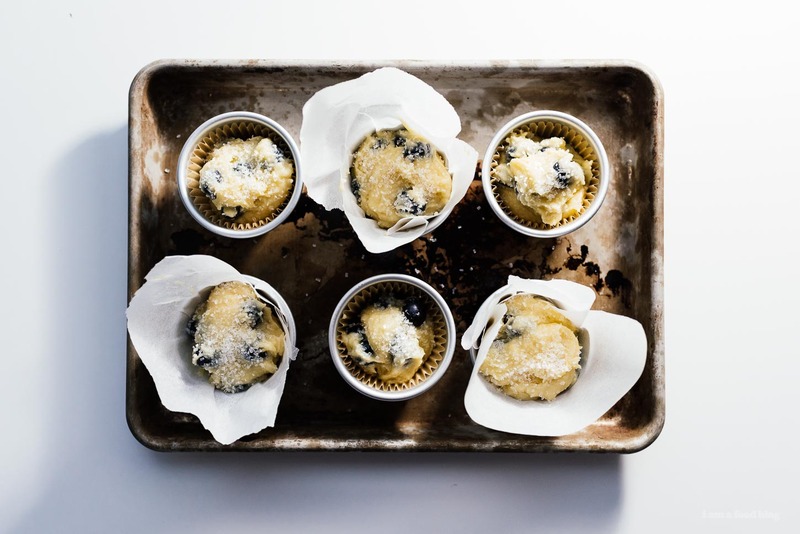 The famous Jordan Marsh's blueberry muffins – a crispy sugary top with a tender, moist cake-like muffin bottom studded with blueberries. Maybe you’re wondering, who is Jordan Marsh and why I made his blueberry muffins. Turns out, Jordan Marsh’s blueberry muffins are famous. Very famous, in fact. According to the internet (which I whole heartedly believe, by the way 😉), Jordan Marsh was a fancy New England department store with a flagship store in downtown Boston. That flagship store had a bakery on the top floor that was famous for blueberry muffins. Apparently they were gigantic, addictive, and worthy of making pilgrimages for. Recently, I was plagued by a mad craving for muffins. Mike and I were on a walk and I had a muffin emergency. The funny thing is, I can’t even remember the last time I ate a muffin. I think it might have been years ago? There are just so many other breakfast-y baked goods in the world. It’s kind of inevitable that muffins get lost in the shuffle. Anyway, we hopped into a random bakery and I couldn’t decide which muffin –so many muffin choices! – to get so I asked Mike what his go-to muffin choice was. 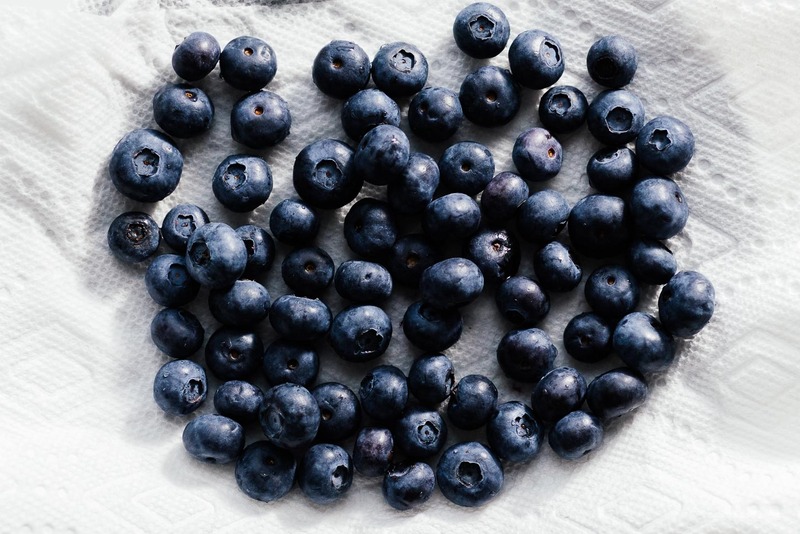 He very decisively said, “blueberry.” That made it easier because even though I was craving a muffin, I was worried that it might be misguided. I went with the blueberry because even if I didn’t finish it, at least someone would. It turns out I didn’t need to worry about who was going to finish the muffin because we ended up fighting over the crumbs. Mike let me have them, since it was my muffin craving that got us into the whole mess. After that one muffin though, I was hooked. I couldn’t stop talking about muffins. And then, it turns out that Mike used to exclusively bake blueberry muffins when he went through a blueberry muffin phase. He practically knew a muffin recipe by heart. 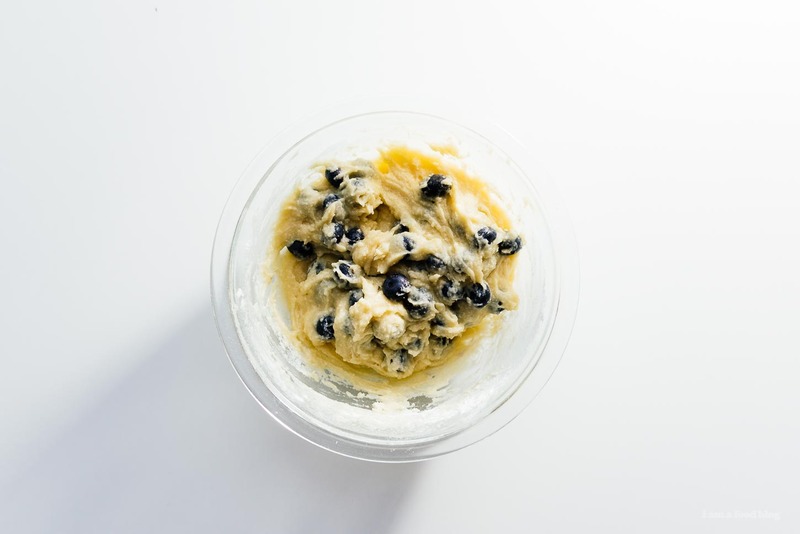 Who knew that blueberry muffins had milk in them? I for one, did not. See, the truth is, before Wednesday, I had never made muffins. I mean, I’ve made corn muffins. And cheese muffins. But never a fruit muffin. So, after a dedicated trip to the grocery store for blueberries, we made muffins. I was determined to make the muffins that Mike made in his youth, so after a quick google search, he determined that they were the Jordan Marsh muffins. And the funny thing is, in my massively long to make list was the Jordan Marsh muffin recipe! It was muffin-to-be! 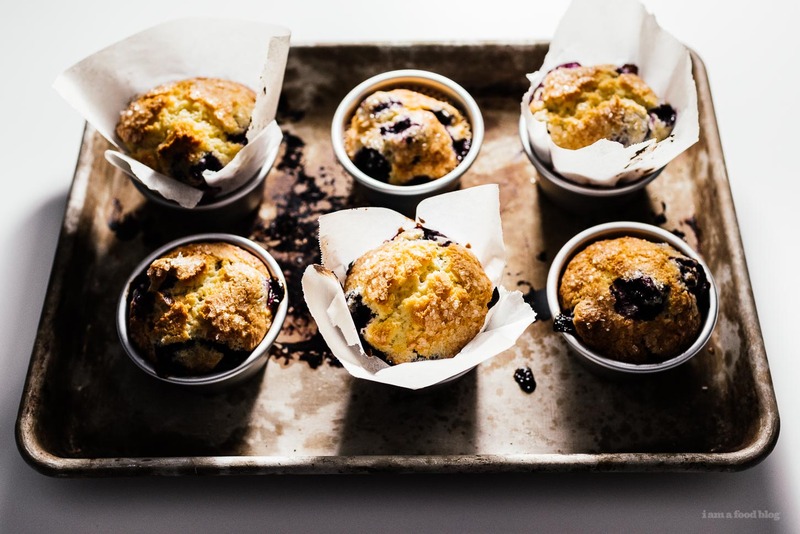 These blueberry muffins were so dreamy. Cake-y and moist with pockets of blueberry jammy goodness and a crispy sugary top. After we polished off the first batch (we ate four immediately and saved 2 for breakfast) I made another batch the next day. Jordan Marsh, thanks for your muffins! 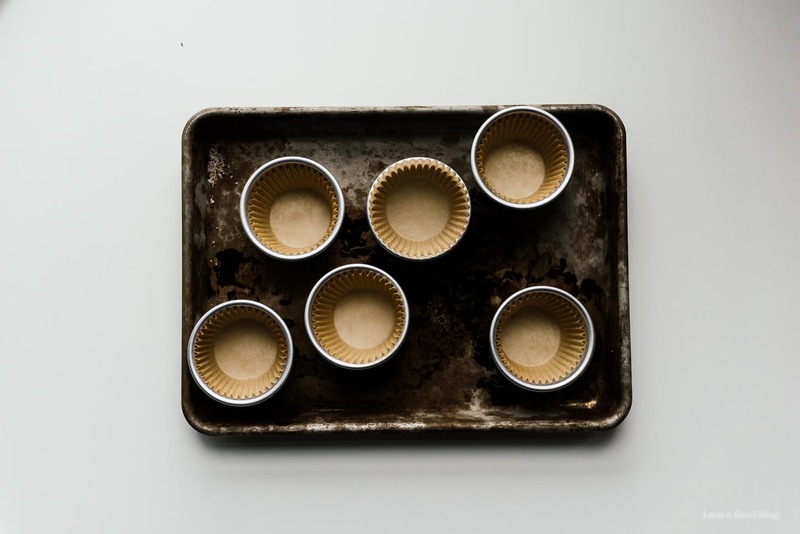 PS – I couldn’t find our muffin pan but made do with these little tins that I have that turned out to be perfect. To be honest, they kind of work just like a muffin pan but better because they stack. I also played around with using parchment paper instead of regular muffin papers and that worked too. I can’t decide which I like better but it’s nice to know that I can make muffins even if I don’t have the papers. Cream the butter and sugar until light. Add the egg, beating well. Add the vanilla. Sift together the flour, salt and baking powder, and add to the creamed mixture alternating with the milk: flour milk, flour, milk, ending on flour. Fold in the berries. Line a standard muffin tin with 6 liners, and fill equally with the batter. Sprinkle the sanding sugar over the tops of the muffins, and bake at for 30-35 minutes, or until the tops are golden and toothpick comes out clean. I made muffins this weekend because I had a craving too!! I love how crispy there look and the parchment is such a cute touch. It doesn’t look like “standard muffin” tin was used? What kind of cups did you use? Also, you lined with parchment paper not standard liners. 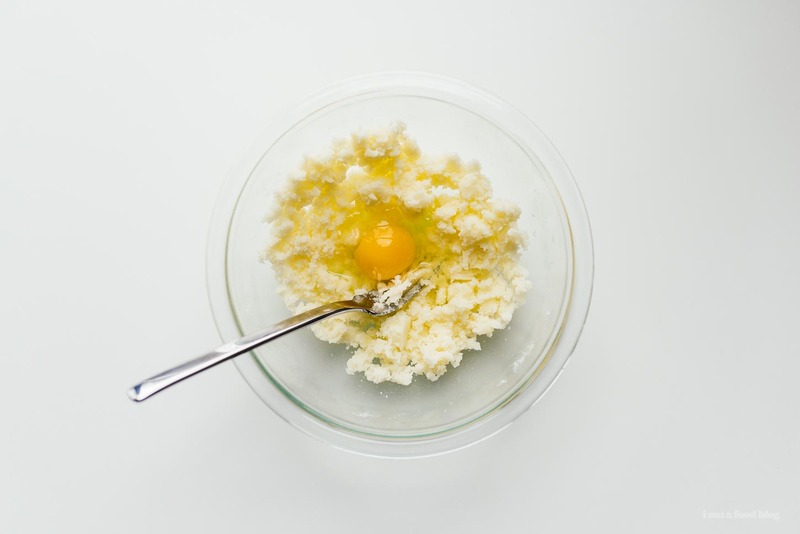 Why does the recipe vary from your photos? i added a post script about the muffin tins and liners! 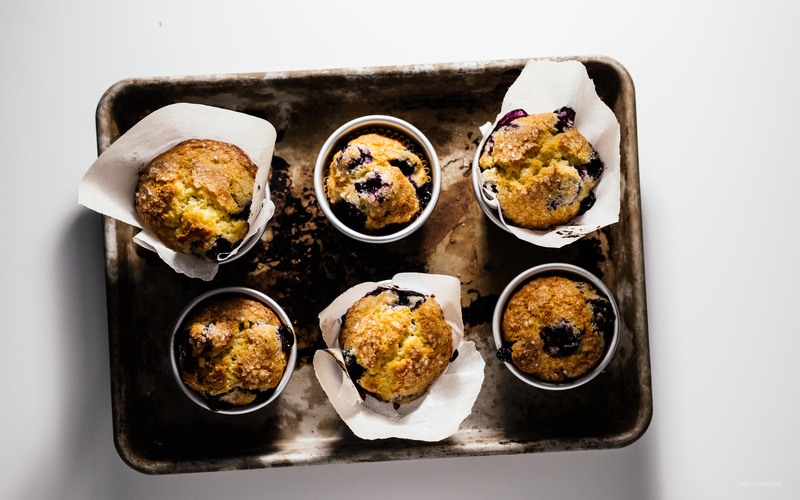 the recipe definitely works with a regular muffin tin, regular liners or parchment paper. These sound delesious. U am making them tom. Thank u. Beauties!!!! And I love this sweet story behind it. 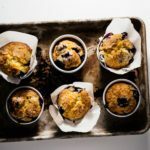 I’m always paralyzed by the avalanche of blueberry muffin recipes out there—but now I know which one to try! Come to think of it, I haven’t had a muffin in ages either! I guess with all of the viennoiserie choices here in France, it’s kinda hard to do breakfast like I did back in the states. Your pictures have me craving a muffin now though!! I hope frozen blueberries will work, yes?? I am so hungry for a blueberry muffin, been craving! i haven’t tried with frozen but i think they will work! Hello, should it be unsalted butter or salted butter? I just made these and oh boy are they tasty! I added 2tbsps. 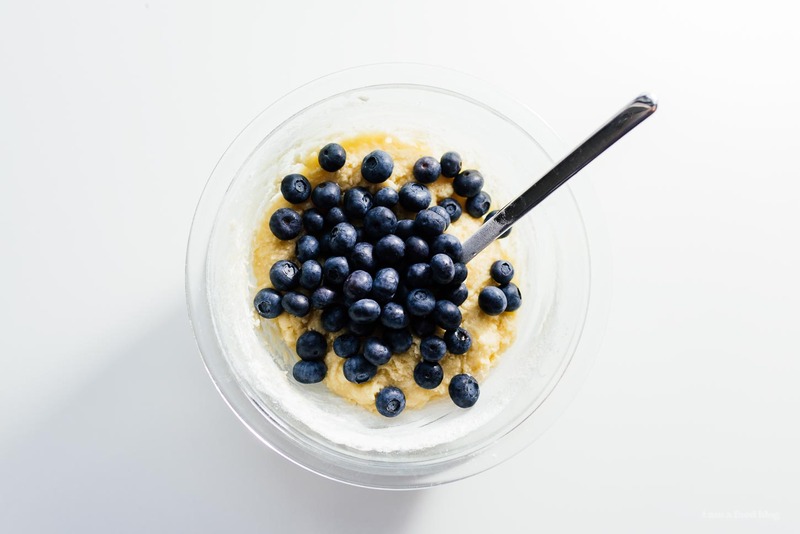 more (almond) milk to make them lighter, 1/2 cup more of blueberries, about 1tbsp. of lemon juice to make each one the perfect summer treat. Can’t wait for the hubby to try them! I used a cupcake tin and lightly oiled the inside of each cup. Just made these today (in spite of the heat wave) and had to thank you! I finally found an amazing blueberry muffin recipe! : ) These are so gorgeous from the crunchy, craggy, brown tops to the soft and tender interior. Yay!! This made my day…and now I must make the banana version. Thanks for sharing. Enjoy the summer! yay! so happy that they turned out perfect :) hope you’re keeping cool with the heatwave! I made these and they turned out amazing! My husband loved them! They come out light and moist on the inside with a little crisp on the outside. This will be my no fail recipe. Definitely recommended!! !